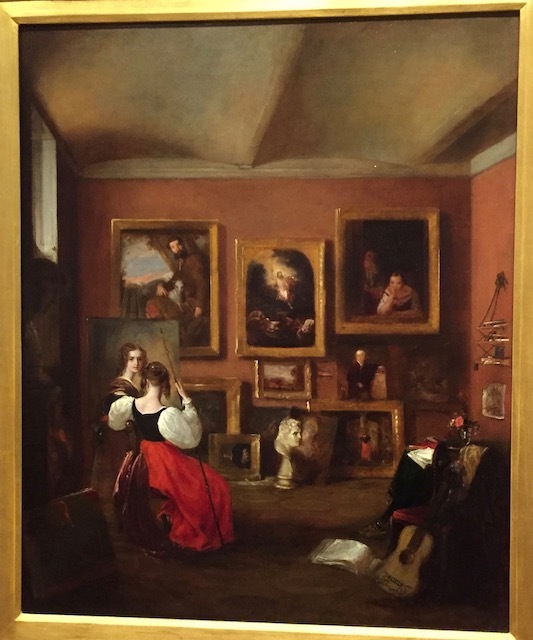 This painting caught my eye on my recent visit to the Art Gallery of Ontario because it reminded me so much of a similar painting by Norman Rockwell, where he is creating a portrait of himself just like Mary Anne Alabaster is in her 1830 work. I saw Rockwell’s portrait when I first started working at the Winnipeg Art Gallery and they were featuring an exhibition of Rockwell’s work. 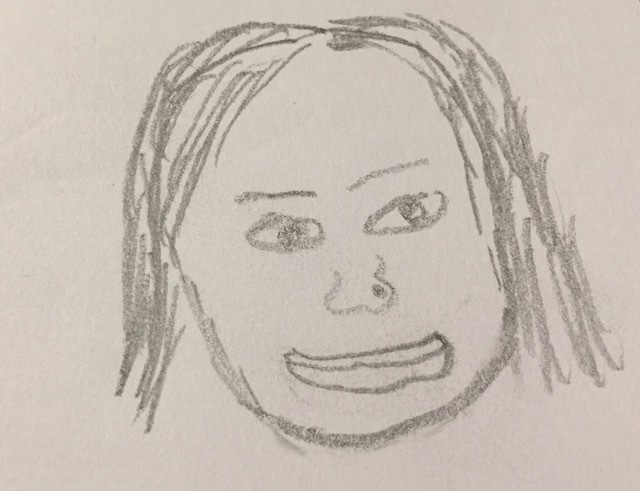 I decided I wanted to know more about the woman who had created her portrait in a style another famous artist would use more than one hundred and thirty years later. Mary Ann Rebecca Alabaster was a British woman born in 1805 who loved to paint from the time she was a child. While her father Charles was encouraging of her art, her mother Mary forbid her from pursuing a career as a painter, so after her father died Mary Ann would get up early in the morning to paint before her mother was awake. Eventually her dedication won her mother over and she allowed Mary Anne to take art lessons and became a full time artist. 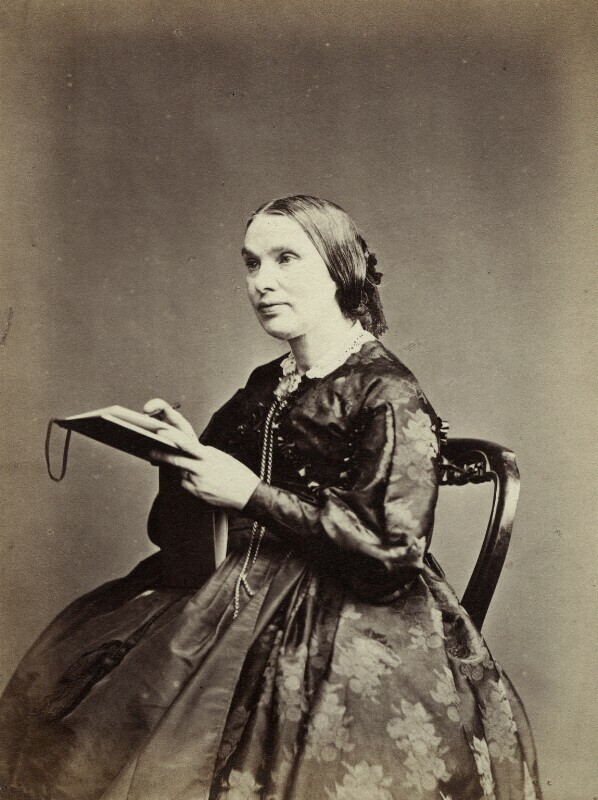 Mary Anne married Harry Criddle in 1836. She continued to paint even after she assumed care for her brother’s three sons after he and his wife both died in 1840. 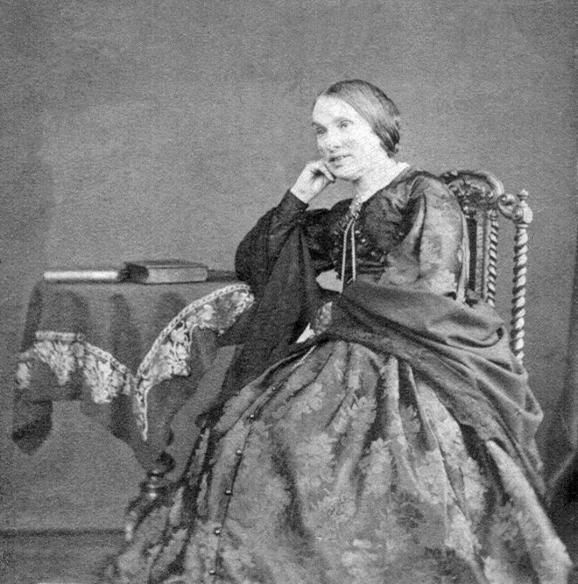 Mary had a son Percy in 1844 and was left to care for him and her nephews on her own after her husband died in 1857. Interestingly Mary’s son Percy emigrated to Manitoba where he became a successful farmer. Mary Anne’s sight was negatively effected by oil paint so she ended up switching to water colors. She became an honorary member of the British Society of Painters in Water Colors but she and the other three female members were forbidden from sharing in any financial profits from the society. Her work was widely shown at exhibitions in the England and America. In an interesting video on the Art Gallery of Ontario website curtor Caroline Shields points out intriguing details in Mary Anne’s self- portrait. The shawl Mary Anne is wearing wrapped around her shoulders in the portrait is wrapped around the back of her chair and she is not holding the staff in her hand in the painting. The portraits on the wall behind her were done by famous Spanish artists. There is evidence of Mary Anne’s interest in other art forms- the sculpture on the floor, the open literature books on the table, the musical instrument-a guitar propped in the right corner and Mary’s water color portfolio open on the floor. Mary Anne also appeals to our senses- smell with the flowers on the table- touch with the rich texture of her skirt, hearing with the guitar- and sight- with all the details in the room. 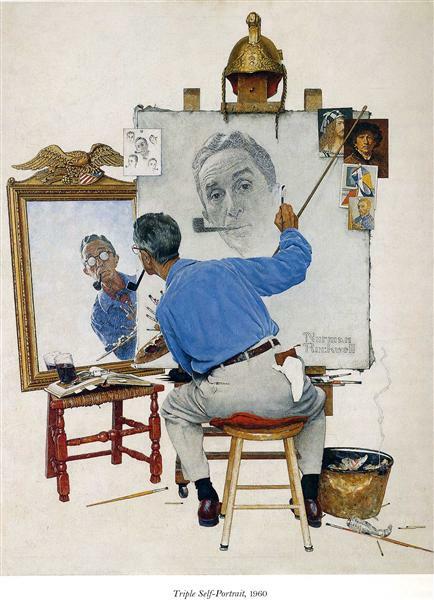 If I hadn’t been familiar with Norman Rockwell’s unique self-portrait I might not have taken note of Mary Anne’s and photographed it as I walked through the vast collection on display at the AGO. When I am in a place like the Art Gallery of Ontario which is literally LOADED with more wonderful art than you could explore in a month, it is always interesting for me to think about why certain works catch my eye, make me stop for a second look, prompt me to take a photo and when I get home find out more about the artwork. 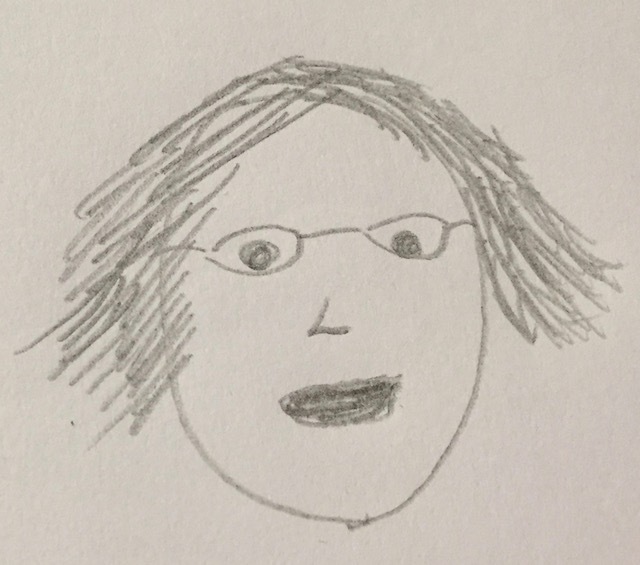 I am curious about what artworks Mary Anne’s self -portrait will inspire me to take a closer look at, in future visits to other art galleries. What would you recommend? 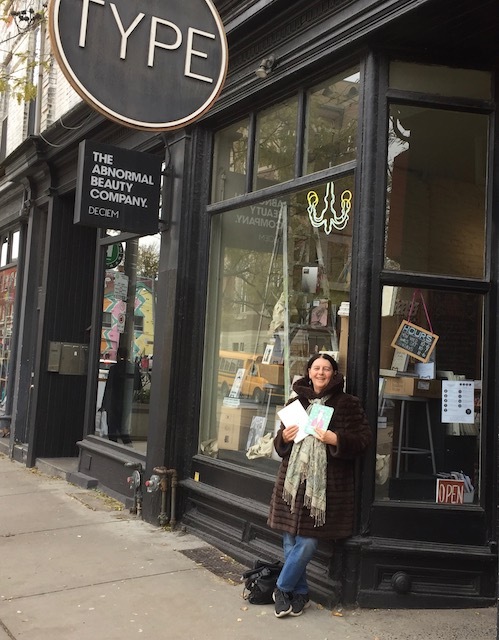 When we went to Toronto last weekend one of the reasons we had a good time is because we used the recommendations of others to plan our visit there. On the recommendation of one of my writing friends Suzanne I attended a conference for children’s writers and illustrators. I enjoyed it throughly. 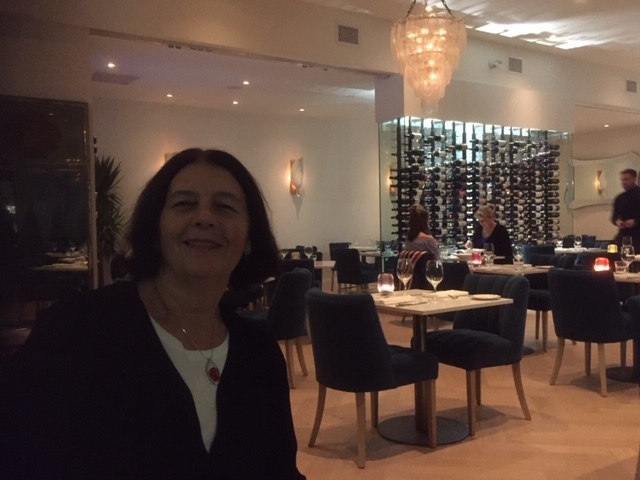 On the recommendation of our friends Terry and Audrey we went to an Italian restaurant called Carisma for dinner and the food and service were fantastic. On the recommendation of a young woman named Sane who I gave a tour of the Winnipeg Art Gallery in summer I visited the Type book store and bought a biography I’ve been wanting to read and a Frida Kahlo calendar for a friend who likes her artwork. 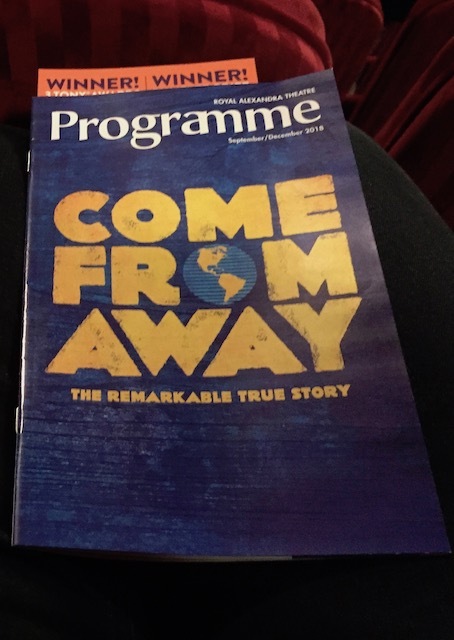 On the recommendation of our friend Rudy we attended the play Come From Away and enjoyed it as much as he did. Thanks for the recommendations everyone. We had a great time! Red Bows For Michael’s Geese? Think Again. I was intrigued by this artwork in the center of a large round room at the Art Gallery of Ontario. 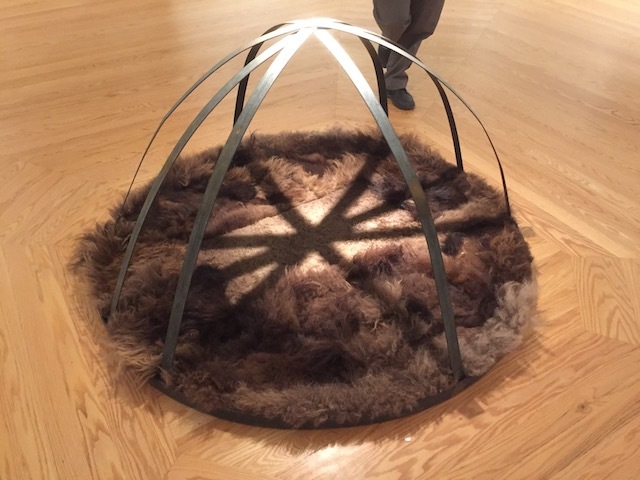 Our guide told us the piece was called Old Sun and was by Blackfoot artist Adrian Stinson. Old Sun was a relative of Mr. Stinson’s and a revered medicine man, warrior and leader among the Blackfoot. He refused to sign Treaty 7 with the Canadian government and thought it would be better to fight and die to preserve the Blackfoot way of life. 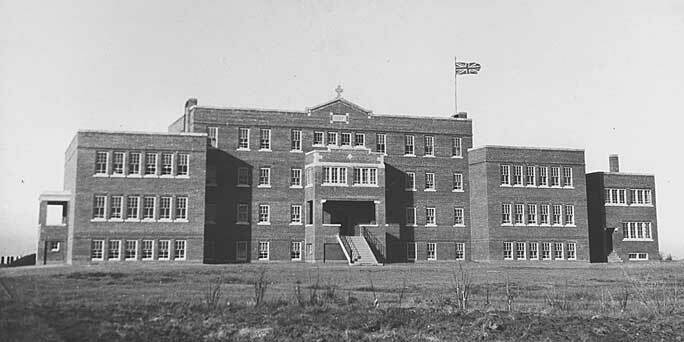 Ironically Anglican missionaries named a residential school built on Blackfoot land after Old Sun. 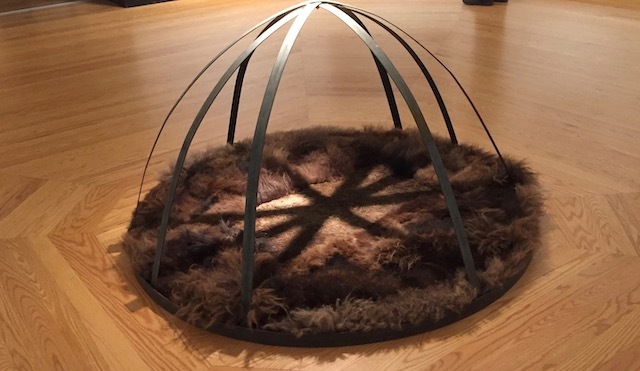 If you look carefully at the artwork you can see it is made out of bison fur which represents the Blackfoot ties to the land but the light above casts an image of the Union Jack on the fur- a symbol of colonization. Old Sun is displayed in a room full of works by artists from the Group of Seven who were painting at the same time as residential schools like Old Sun, the one on the Blackfoot nation, were in operation and at a time when indigenous artists would not have received recognition for their work nor would they have been invited to display it in publicly funded galleries as Mr. Stinson is doing today. Also included in the room is an artwork by Emily Carr which she painted on Vancouver Island in 1929. It shows a church on the Mowachaht/Muchalaht First Nation. 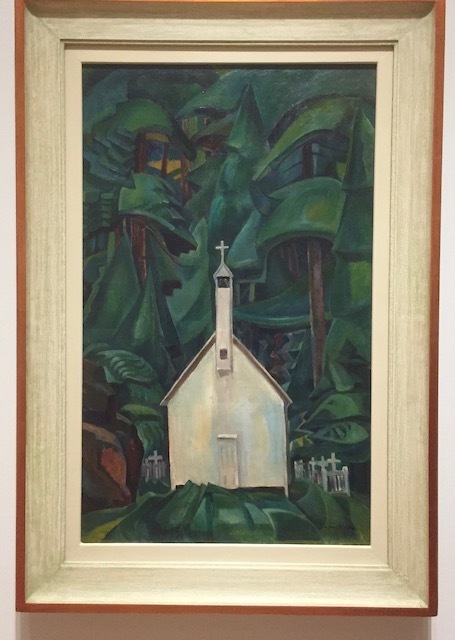 Emily called her artwork Indian Church but in May of 2018 the Art Gallery of Ontario decided to rename it Church in Yuquot Village because they felt it was a less discriminatory title. The church is still standing but has been decommissioned by the Catholic hierarchy and now serves as a community centre in Yuquot. 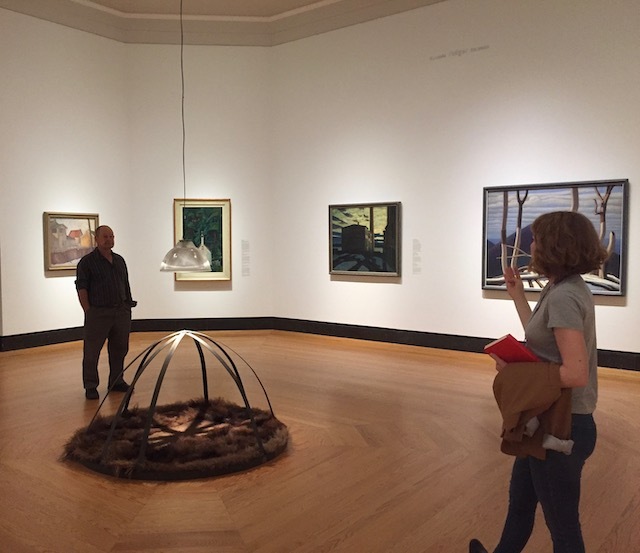 The renaming of the Emily Carr painting, the inclusion of indigenous art in almost every room of the gallery, as well as didactic panels in First Nations languages, are some of the changes towards indigenization I noticed since my last visit to the AGO two years ago. 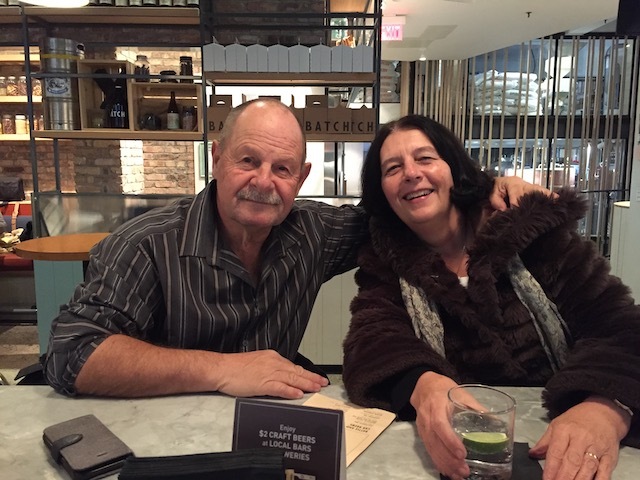 I spent last weekend in Toronto with my husband Dave. I had planned the weekend as my 65th birthday celebration. I would attend a children’s writers conference, we would go and see the musical Come From Away, we’d visit the art gallery, a book store, and have meals in some good restaurants. 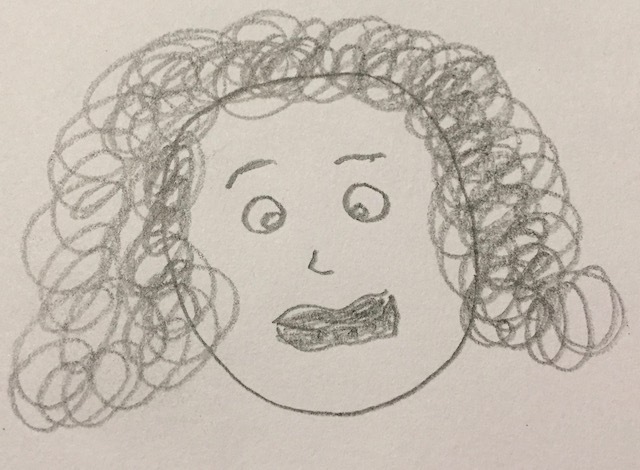 Looking back on our weekend I am reminded of the blog post I did about Daniel Kahneman who says we can choose how we will remember an experience. If I choose to remember the things that went wrong during our time in Toronto I will think of our holiday as a negative experience. If however I choose to remember the positive things we will have had a successful holiday. 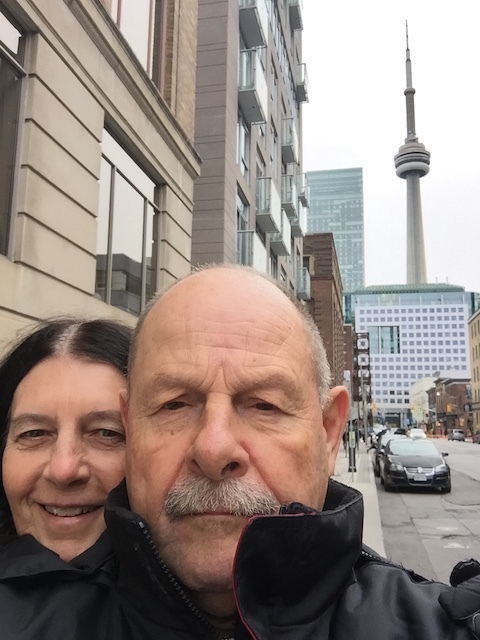 So I will choose not to think about the fact that ………..
it was freezing cold and pouring rain when we arrived in Toronto. My husband’s navigating skills went a little awry so we took a wrong bus and ended up walking several kilometers with our luggage in the freezing conditions to our bed and breakfast. I was completely soaked and my fingers were icicles by the time we arrived. I got the times wrong for the movie we wanted to see one afternoon and when we arrived at the theatre the movie was half over. 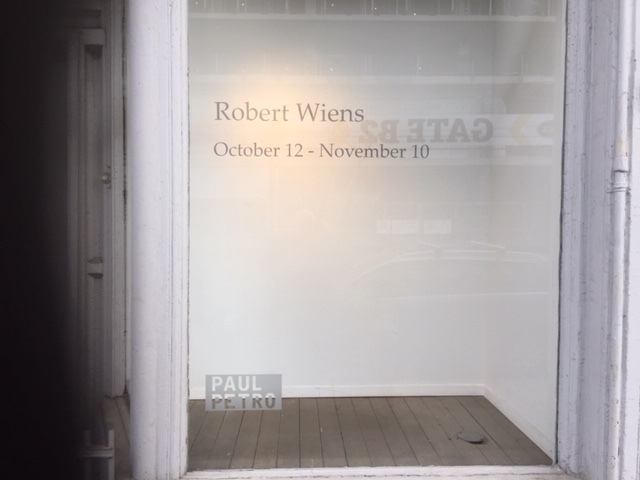 We walked by an art gallery featuring the work of Robert Wiens who my husband knew as a teenager. Robert’s show had just closed the previous day. We missed an art show by a friend of my husbands’ by one day. The private consultation I had arranged for with a children’s book editor about a manuscript of mine was disappointing. He told me while my book was funny and well written, there simply wouldn’t be a big enough market for it because of its content. So I will choose to remember the fact that………. 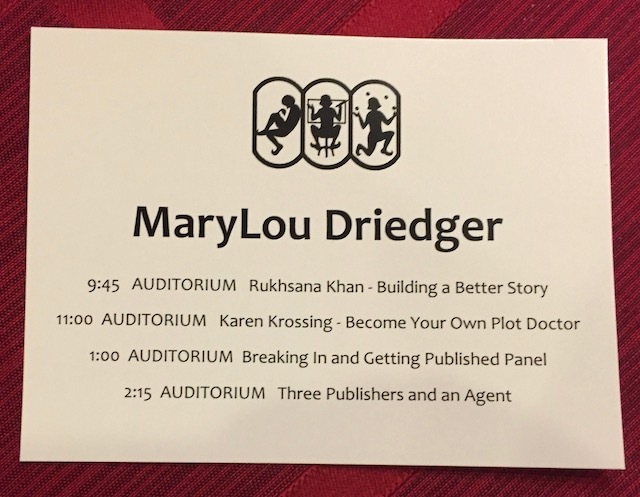 The conference I attended had one great speaker after another and I met so many interesting people who were all children’s writers. The musical Come From Away was simply marvelous and engaged my full attention from start to finish. There were so many new and fascinating things to see at the Art Gallery of Ontario. 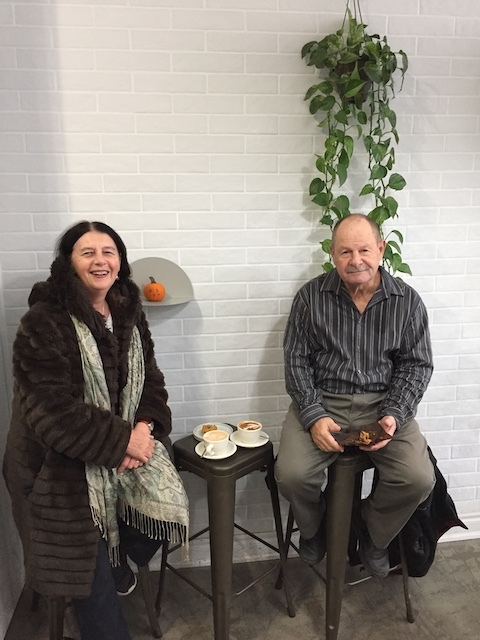 We discovered a marvelous new little coffee shop called The Library. My birthday weekend in Toronto was a success. That’s how I will choose to remember it! 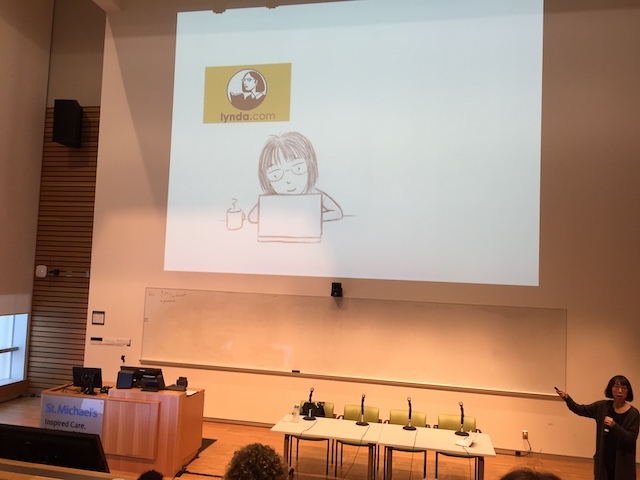 At the Packaging Your Imagination conference I attended in Toronto for children’s book writers and illustrators I met so many interesting people, all eager to talk about their writing projects. It was just great! 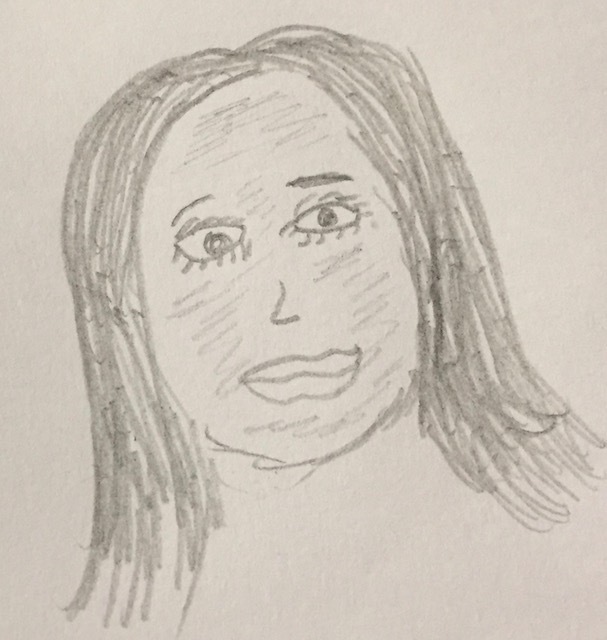 Inspired by the drawing of one of presenters Ruth Ohi and emboldened by several books I’ve read recently about how everyone can be an artist, I decided to do some quick sketches of ten of the writers I chatted with to give you an idea of the variety of folks I met. 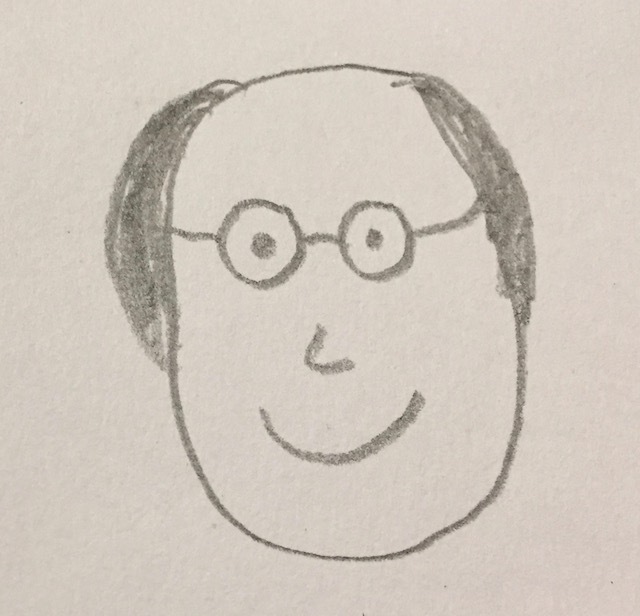 A television weather reporter who has an idea for a non-fiction book explaining weather to children. 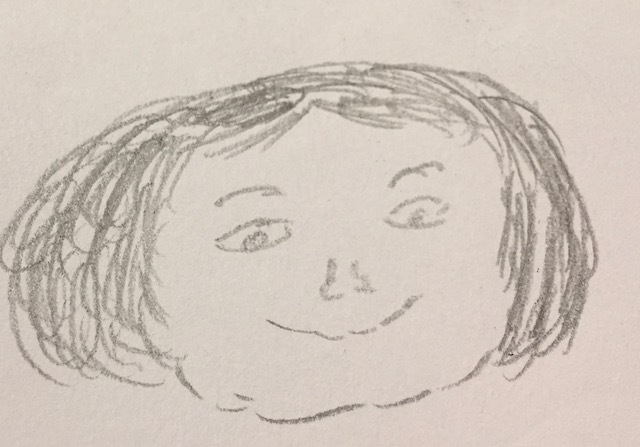 A young mother working on a book inspired by her kids about a loaf of pumpernickel bread and a pickle. An accountant who has finished a book about friendship he wrote for his two sons. A woman who loves the north and has written a book about grizzly bears. Her husband is a nature photographer who took the pictures for the book. A former garment industry executive who has finished a book about a raccoon that lived on the streets of Toronto. 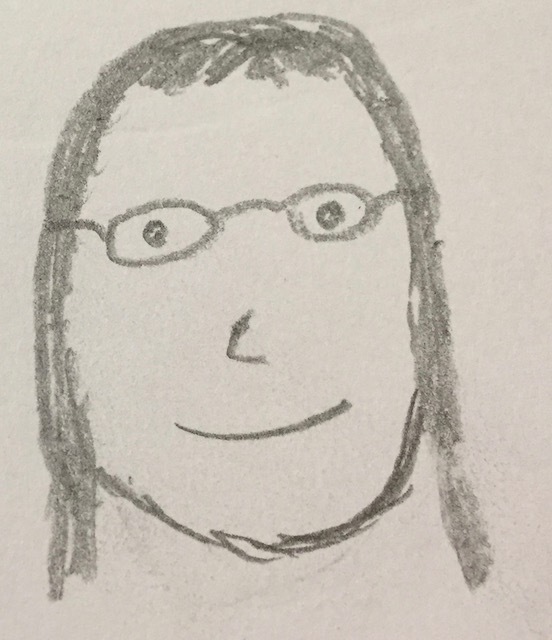 An auntie who has attended the conference several times before and writes poems for her nieces and nephews. 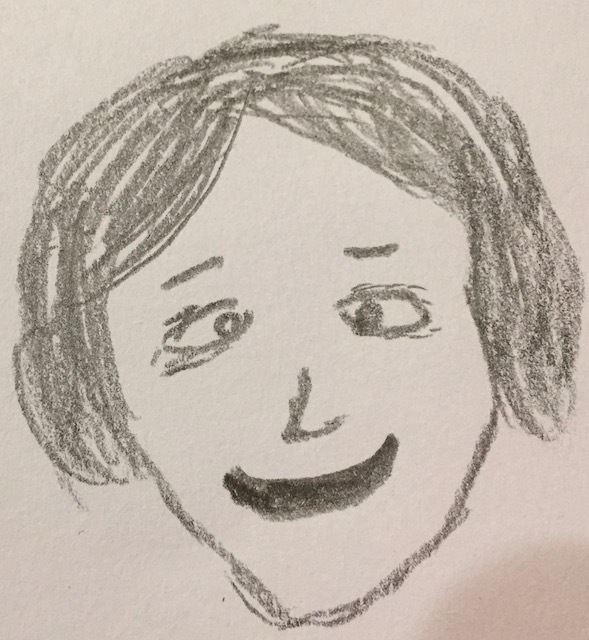 The mother of an employee at a major publishing house who has written a historical fiction novel that involves time travel. A woman who wishes she were Italian but isn’t and has published two books for children- one about hoarding and another about food intolerance. The owner of a Newfoundland dog who has published a book about how autistic children deal with sensory overload. 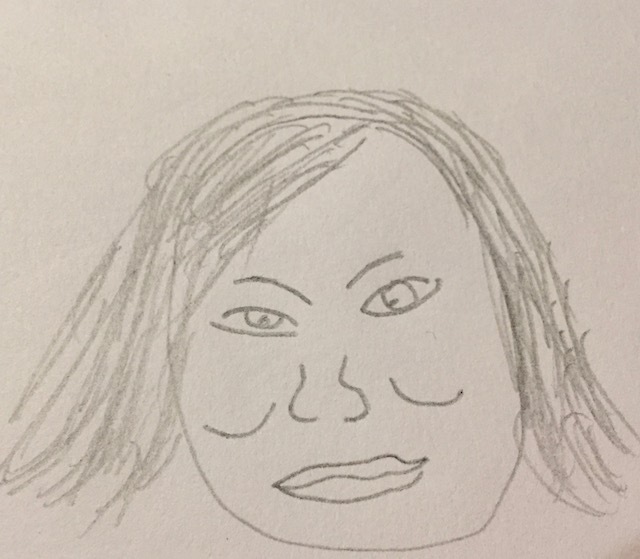 The mother of two film producers who has written a middle grade novel about a girl who has to move to France where she doesn’t speak the language and doesn’t know anyone. And that’s just a sample of the intriguing writers I met. 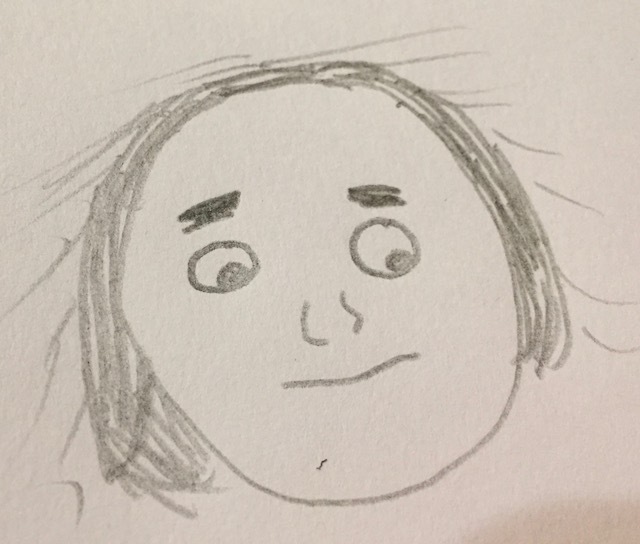 Although the speakers at the conference were great – chatting with the interesting people who are also working on children’s books was just as fascinating. At a bar called The Batch discussing Come From Away after the show. 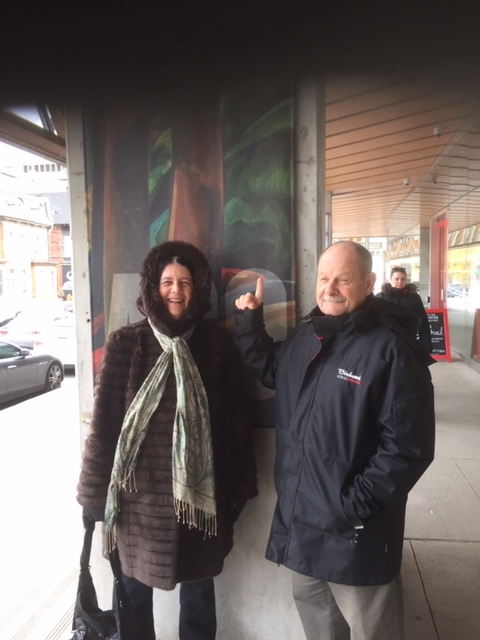 After we saw the musical Come From Away at the Royal Alexandra Theatre in Toronto my husband and I went to a nearby pub to talk about it. We both loved the instrumentalists whose Celtic music accompanied the show. We thought the story telling was superb. Sometimes in a musical all the singing detracts from the story. In Come From Away it certainly does not. For those of my readers who aren’t familiar with the story of Come From Away it is based on the true experiences of the residents of Gander Newfoundland and what happened when some 7000 airplane passengers were stranded in their town during the 9/11 terrorist attacks in 2001. The people of that small community literally opened their homes and hearts and public spaces to all these strangers from around the world feeding them, entertaining them, caring for them and building relationships with them. The musical shows us what a diverse group of people emerged from the 38 planes stranded in Gander. There were folks from many different countries, who spoke many different languages, followed many different religions and were of different races. There were people from different social classes and different income levels and different sexual orientations. Somehow they all managed to become friends and care for one another and support each other in a time of crisis. We are at a point in history when the ruling political party in the United States wants to build a wall and shut their doors to people who are in a desperate situation, when racial discrimination and anti-Semitism seem to be rearing their ugly heads once again, when the American president issues edicts to ban Muslims from his country and stop transexual people from serving in the military. At a time like that it is refreshing and inspiring to see a musical where differences between people are celebrated and seen as strengths, where doors are opened and not closed to those in need. That’s the essence of the play. All these strangers in need knocked on the door in Gander and the local people there said, “Come on in.” Wouldn’t it be great if our world worked like that? The musical Come From Away sells out wherever it is staged in Toronto, New York, Winnipeg and in 2019 its going to be in Dublin, London and Sydney. I bought our tickets four months ago and there were only a few seats still available that long before the performance. 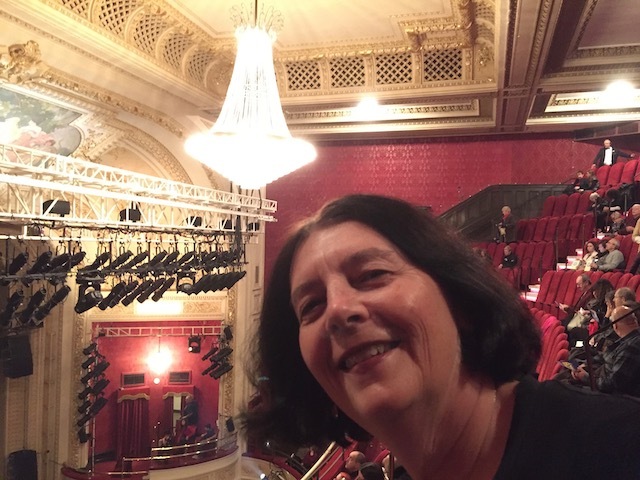 My husband and I decided a big reason why Come From Away has become so popular is because even though the events in the drama happened nearly two decades ago they provide a message of hope for our time and inspire kindness. It portrays our world the way so many of us wish it could be. 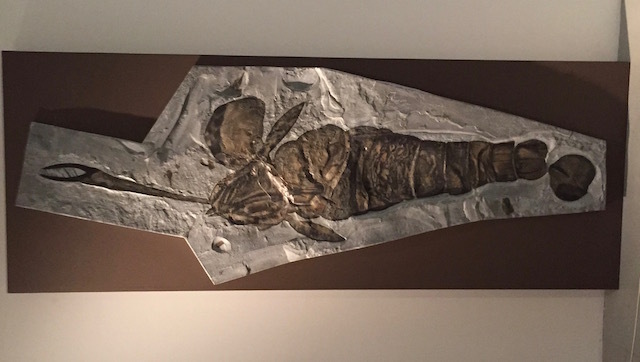 Here is a fossil of a giant sea scorpion found in North American waters millions of years ago. Here is indigenous artist Norval Morrisseau’s painting of the water panther god Misshipehu. It moved through the same waters as the ancient sea scorpion. The two items are displayed near each other at the Art Gallery of Ontario. Can you see any resemblance?